Dammann's is a family owned and operated garden center in Indianapolis. We have three locations on the east, south, and west sides. We are a retail nursery full of annuals, perennials, trees, and everything you need for maintenance. We also do landscape design and we have landscape services available. SMOOT Landscaping LLC is a local woman owned business that prides itself on a job well done. Starting at 16 years old, Aaron Smoot had a passion for lawn care. He started a business mowing lawns with a few close friends. After a few years of building cherished relationships, Aaron was fortunate enough to expand the one-man mowing business into a full-service landscape company including a retail location in Muncie, IN. The few close friends that he started with now make up the solid management foundation which includes Chelsea Smoot (president), Jesse Williams (Director of Sales), John Jett (Employee Relations) and one-year-old Hank Smoot (Top Dog). SMOOT Landscaping LLC provides a full suite of landscaping services to residential and commercial properties including mowing, mulching, landscape design, patios, pergolas, outdoor lighting, fertilization, snow removal and parking lot sweeping. Every SMOOT team member takes pride in going the extra mile to deliver outstanding performance and professional customer service at an affordable price. We are committed to making your wishes our first priority. We also offer our services year-round. Call or stop by today and let us make your lawn-care needs worry-free! Donʼt be intimidated by the idea of a landscape project. Itʼs not about being locked into a look or committed to an enormous undertaking. Your landscape – no matter how simple or elaborate- is a reflection of what’s important to you. Together with your Altum’s designer, create an action plan that accommodates your active family, grows with you, addresses problem areas, indulges your need for relaxation or allows you to do the work at your own pace. This is a place for people who love beautiful things. And beautiful growing things are for everyone, no matter your experience. Our people are friendly experts, leading you toward inspired landscape solutions, gorgeous containers, windowsill herb gardens, fresh veggies, DIY workshops at The Potting Bar and of course gorgeous trees, shrubs, plants and flowers that will make your corner of the world more wonderful. 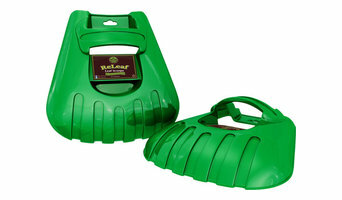 Owner and inventor of the Releaf Leaf Scoops, the Lifetime Guarantee Leaf Scoops For You, Family And Friends An Innovative All Year Round Economical Gift That Is Must Addition For Your Tool Box Or Garden Shed. Rosie’s is very much a family-owned and operated business. Kevin and Mary Beth Hughes started small. They first sold Christmas trees on the property in 1983. They also had a grass-cutting business that turned into landscaping and later progressed into a full scale garden center and landscaping company. Over the past 27 years, Rosie’s has expanded to over 12 acres of greenhouses, nursery stock, pottery, fountains and garden accessories. Rosie’s has a very happy, helpful staff, many of whom have worked at the nursery for more than fifteen years. Everyone looks forward to the challenge of making ourselves and our nursery better every year. We are all very proud of what we do here. Mr. Canary Company specializes in simple, convenient bird feeders perfect for beginning birders and experienced pros alike! Unlike other companies, Mr. Canary sells the BENEFITS of bird feeding, rather than the FEATURES of our bird feeders. Bird feeding is a great hobby that makes one look up from your device screen and look out into nature. Setting aside a few moments a day to appreciate nature does great things-mentally, emotionally, and intellectually. Our products are largely sourced in the USA, and 100% of our product assembly is done in the USA. Since our beginning in 1995, Mr. Canary products have been skillfully made by American workers with intellectual and developmental disabilities, through our partnership with community organizations dedicated to providing holistic services which empower individuals with disabilities to maximize their potential. These workers provide our customers with top-notch bird feeders, and we provide them with meaningful and supportive work opportunities and training. We offer Free Consultations! Start today for a greener, healthier lawn. With over 20 years of lawn care treatments, weed control, pond treatment, pond maintenance and algae control Outdoor Solutions, Inc. can get you the results you desire and guarantee your satisfaction. As a part of our services a professional analysis is completed so we know what solutions to provide using only high quality EPA registered products and expert technicians. Our services include Lawn Weed & Feed Program, Bare Ground Weed Control and Pond Weed and Algae Control. Great GrowIN‘s is committed to building a better quality of life for people by offering a variety of grow systems that allow all of us to enjoy healthier and more vibrant indoor and outdoor environments at home and at work. . We are dedicated to offering excellent solutions providing products needed to feed our families safe, nutritious and delicious meals, as well as commercial custom and turnkey grow systems for organic, hydroponic, indoor, outdoor, vertical and roof top garden installations. Our personal attention and technical consultation will help you choose your perfect grow environment. Myers provides sod sales, delivery, and installation, as well as hydroseeding services, for both residential and commercial properties We currently offer two types of grass, Kentucky Blugrass and Turf Type Tall Fescue. -Kentucky Blugrass Kentucky Blugrass is a dwarfer, darker, denser turf. It is most commonly used for golf courses, show lawns, and when the highest quality turf is desired. This varity of bluegrass is our number one premium grade turf. 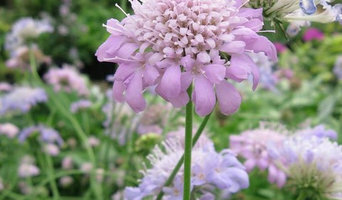 It has a medium blade texture, has a rich dark green color and can be mowed as low as 1.5 inches. -Turf Type Tall Fescue Turf Type Tall Fescue has been established with the highest wear tolerant Bluegrass and tall Fescue, it is designed for use in high traffic areas. Turf Type Tall Fescue has a very dark green color with a medium to coarse blade texture. Turf Type Tall Fescue is the most common type of turf grass used for home lawns in Southern Indiana. Turf Type Tall Fescue is also more shade and drought tolerant than Kentucky Bluegrass. ePlanters.com is your online source for flower pots of all shapes and sizes that bring a heightened level of elegance and sophistication to your home or office. New and Exciting Dicksons and Jozie B. We pride ourselves on service and quality. Whether you are professional landscaper or just looking to improve your home's landscape, we can help! Please contact us to get a wholesale book or learn about all the great products and plant materials we have on site at our garden center! At Greendell, we provide landscape solutions, from the ground up! If you’ve been dreaming of a beautifully landscaped property with a water feature or a concrete fire bowl but don’t know where to start or what landscape supplies to buy, it may be time to look into garden and landscape suppliers in your Indiana area. From retaining walls to raised garden beds, these professional vendors can make your backyard the oasis you’ve been longing for. What’s more, many of these professionals can help you take your ideas from design to installation and provide garden care and yard maintenance according to your Southport, IN climate. Here are some related professionals and vendors to complement the work of garden & landscape supplies: Landscape Contractors, General Contractors, Landscape Architects & Landscape Designers. What if you would love to grow your own vegetables but have site limitations? Many garden supply companies offer planters and containers that are up to 42 inches tall. For those who live in colder climates, consider a greenhouse — just the thing to enjoy starting plants or growing exotic blossoms that wouldn’t quite work in your Southport, IN climate. Find garden and landscape supplies on Houzz. 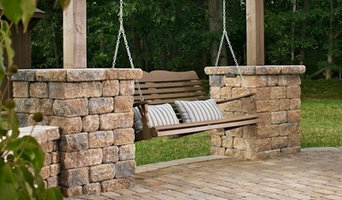 Search the Houzz Professionals section for Southport, IN garden and landscape supplies. Browse photos and read reviews. You can also explore full-service Indiana landscape architects and garden contractors.